Seahorses are terrible swimmers. Discover how this has influenced the way they look, what they eat and how they defend themselves. Seahorses are a type of bony fish with a thin skin instead of scales. Seahorses use their snouts to feed on small shrimp and plankton. Seahorses swim upright using three fins, and use their tail to anchor themselves to sea grass and coral. 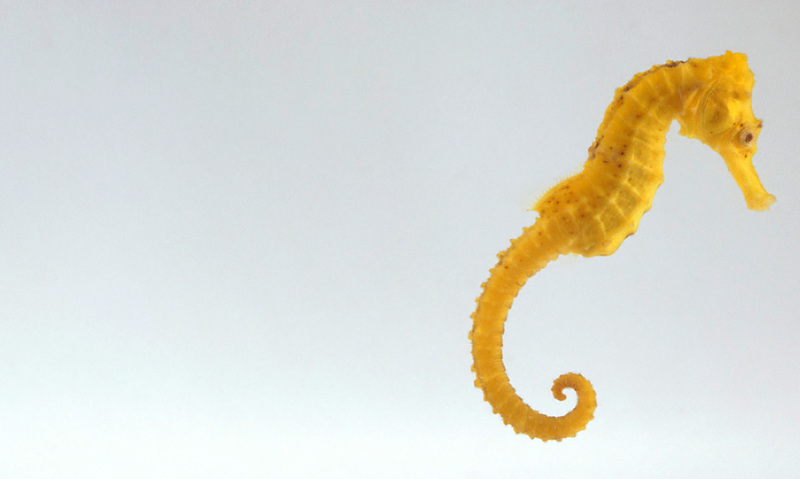 Seahorses are among the only species in the world where the males give birth to the young. Seahorses are named after their unique profile. Even though seahorses are a bony fish, they do not have scales. Instead they have a thin skin stretched over bony plates arranged in their body as rings and each seahorse species has a distinct number of rings.